Come in costume as your favorite movie character! Prizes will be awarded for the best. 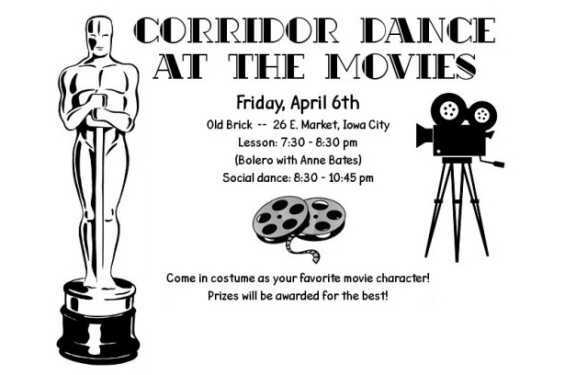 The playlist will be our usual mix of ballroom and latin styles, but all songs are from the big screen!